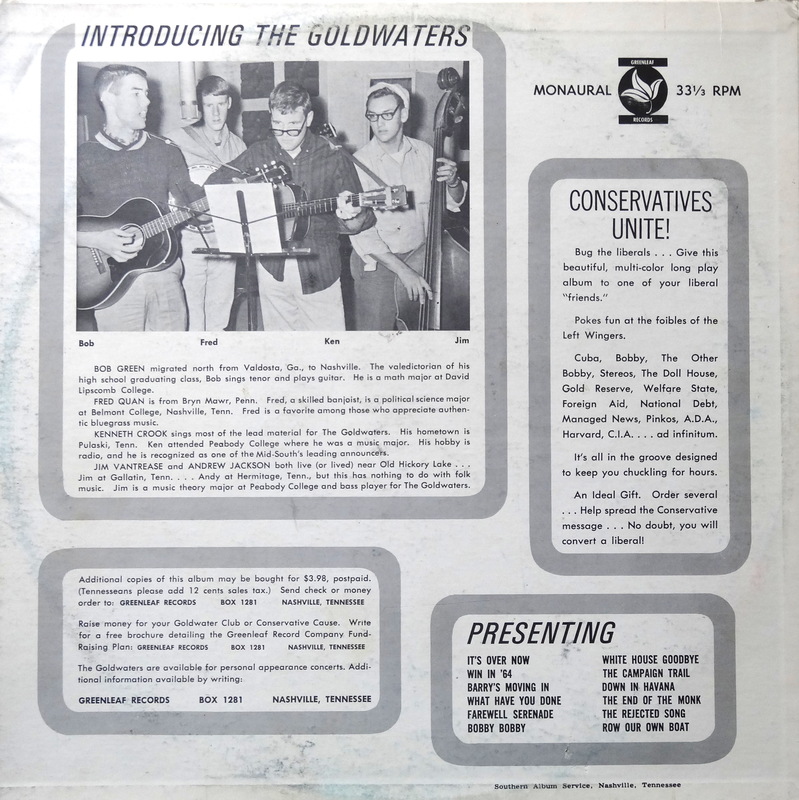 Back in 1964 Barry Goldwater, a Libertarian senator from Arizona, ran for president. America was at the height of the folk music revival around that time, too, so what better way to boost support with the kids than a parody folk band in matching sweaters? 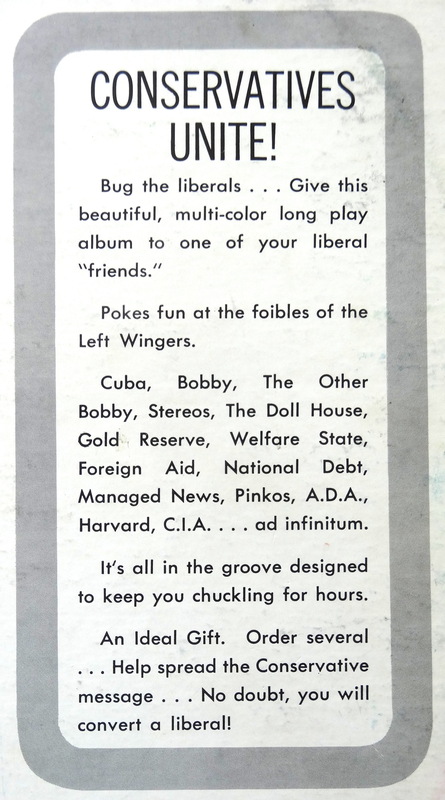 The back cover promises to “poke fun at the foibles of the Left Wingers” and “No doubt, you will convert a liberal!” Because nothing influences people like being mocked. The songs are bad parodies of folk songs, but that’s okay: This one is really all about that cover. Fifty years on a group of smiling white guys with banjos is still a frightening sight. You can probably find this one cheap at a yard sale, but if you absolutely have to have one expect to pay anywhere from 10 to 50 bucks online. 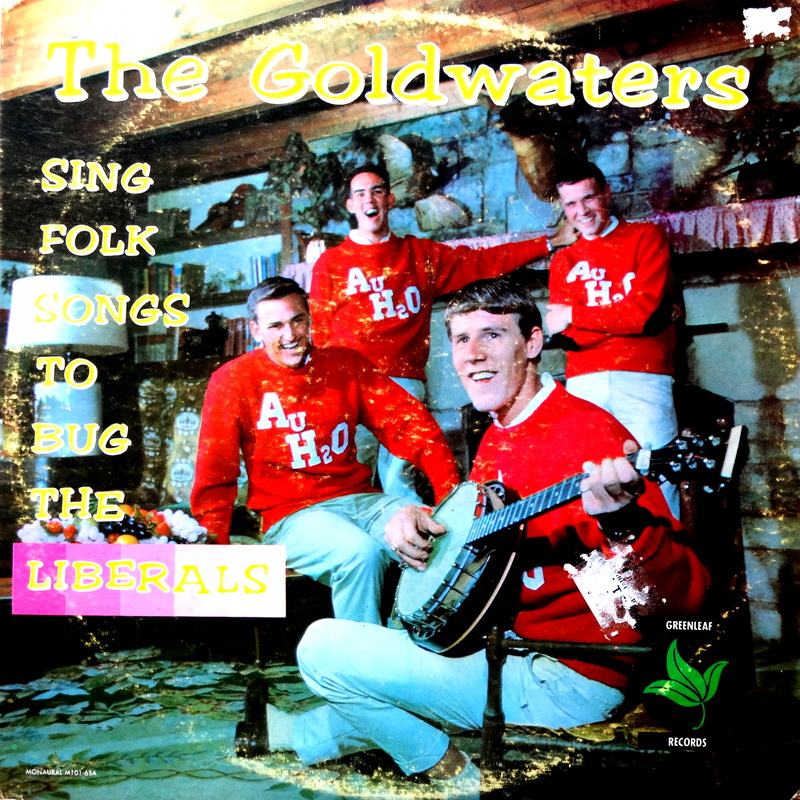 Happy hunting, and please welcome The Goldwaters to the Bad Album Cover Hall of Fame.